Can you post your DrawAimingLine script? because use of gameObject.GetComponent() will check for that script on the same object to which this script is attached to but from the image it seems like these two are on different objects. are removed and considered as formatting. 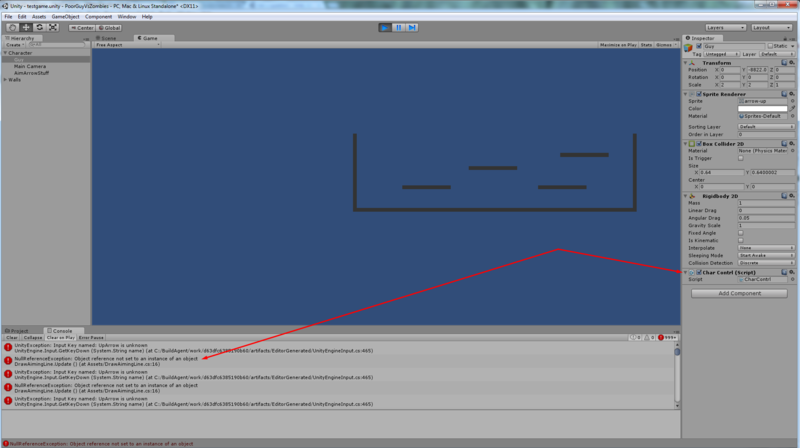 but that would mean the other script is on that same object and I don't see any DrawAimingLine on this game object. If the two components are not on the same objects you first need to find the other one and this has 1000 of answers here.